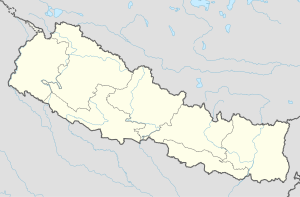 Thulo Sirubari is a village and market center of Chautara Sangachowkgadi Municipality in Sindhupalchok District in the Bagmati Zone of central Nepal. The formerly Village Development Committee was merged to the new municipality in 2017. At the time of the 1991 Nepal census it had a population of 5602 and had 998 houses in it. ^ "Nepal Census 2001". Nepal's Village Development Committees. Digital Himalaya. Retrieved 2008-08-24. This page was last edited on 3 September 2017, at 15:48 (UTC).